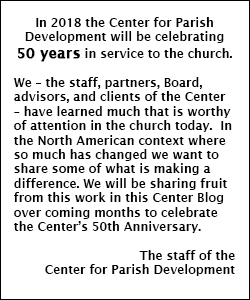 A year-long album of research, experience and learning of the Center for Parish Development in its 50th year. The church as “missional” is a sent community, a community called and sent by God into particular cultural-historical contexts. Empowered by the Holy Spirit, the purpose of the church is to discern, to embody, and to proclaim the life-giving gospel of Jesus Christ. This description of the church assumes that the church has something to offer the world that the world cannot know on its own. 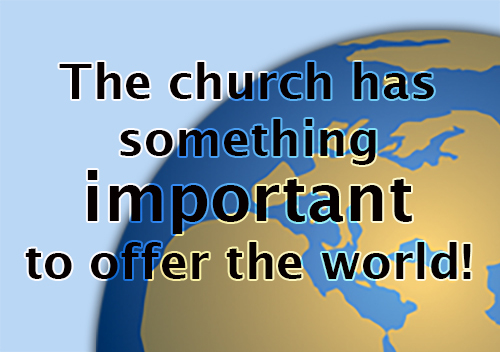 And more, it assumes that what the church has to offer is important, that it will make a difference to the life of the world. 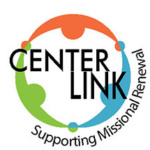 Much more than social service or social action, more than church growth or church planting, mission involves the identification, confrontation, and transformation of all that blocks the flourishing of life as intended by the one who came “that they may have life and have it abundantly” (John 10:10). In the midst of a rapidly changing cultural context, where it often appears that the forces of fear and hostility have overcome the expressions of love and compassion, the church is challenged to transform its basic identity and vocation—to go to its very roots. Being faithful to a living and dynamic God who is actively present in changing historical situations—“Behold, I am doing a new thing” (Isa. 43:19)—requires that the church itself must be adventurous and open to radical change. 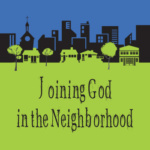 For the community of God’s people to “sing to the Lord a new song” (Isa. 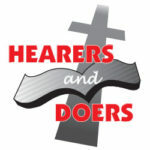 42:10), it must learn new ways to put the questions, develop new frameworks for dealing with them, and craft new proposals for shaping the church’s ministry and mission. 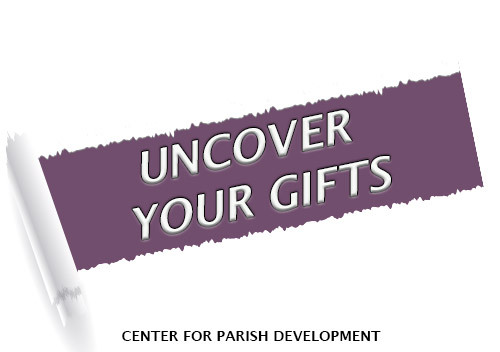 The Center for Parish Development has been a partner-in-learning with the church in general and local congregations in particular, discovering how to discern and participate in God’s mission more faithfully and fruitfully—at the speed of change. 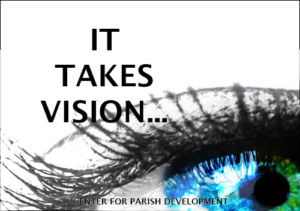 As promised last month we begin to outline some of the major themes and practices that support this time of transformation in the life of the church, offering hope and renewal of hearts and minds. Here are five key assumptions that are crucial even essential for the renewal – the missional transformation – of the church as the world continues to change at a dizzying pace. We look to unpack each of these to better understand biblical and theological foundations and their implications for ministry, the identification of practices and processes that are making a difference. 1. The transformation of the church’s mission in this place and time is to be found in God’s mission. 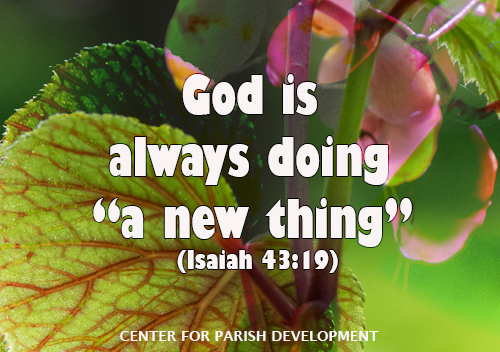 God who is always doing “a new thing” (Isaiah 43:19) calls the church to discern, celebrate, and participate in God’s mission afresh. 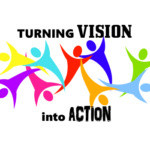 The heart of transformation is to join in God’s mission of creating new life, redeeming and restoring what is broken, and making all things new in partnership with the church. 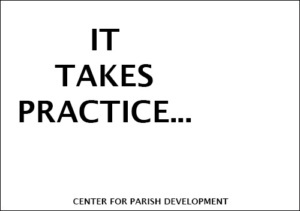 Implications for the church’s learning: If being the church is God’s idea, how will we ask and answer “What is God calling us to be and do NOW?” How might we engage our faith community in a journey of spiritual depth, changing the focus from our needs/wants to taking part in God’s mission? How will we cultivate our church as a discerning community, celebrating, and taking part in God’s mission? 2. 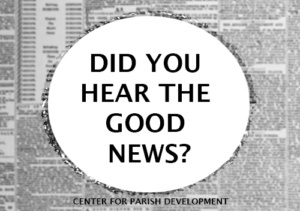 The church, therefore, is called to bring the good news of the kingdom into engagement with the deep yearnings and concrete challenges of its worldly context. Implications for the church’s learning: How will we discover the contours of the church’s changing cultural context and the implications for our life and ministry? How might we cultivate redemptive relationships in community, that is, in partnership with neighbors in our ministry setting? How will we move beyond coffee-hour relationships with each other, or marketing strategies to our neighbors, and meeting one another in newer and deeper ways of caring and supporting? 3. 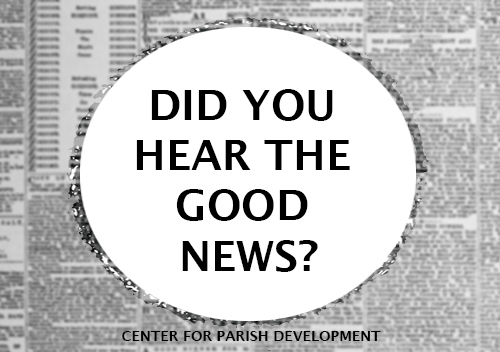 To engage today’s context with the good news requires the formation of a disciple community – the faithful body of Jesus Christ – in both proclamation and practice. 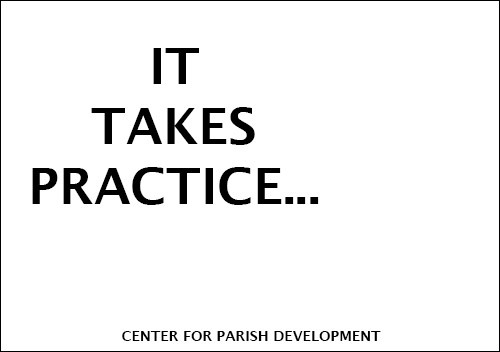 Implications for the church’s learning: What would be involved in forming ourselves as a community of disciples? 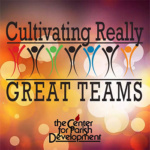 How can we cultivate a climate of learning and mutuality within and beyond our church? 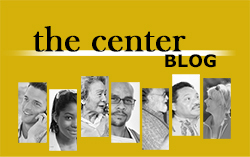 How might we embrace a commitment to becoming people of the Way as our way of life? 4. In many churches this requires a radically new vision, new ways of thinking, and new patterns of behavior. 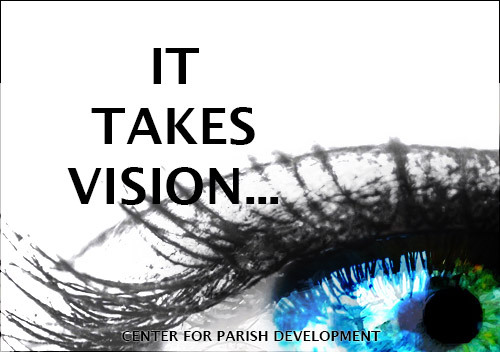 Implications for the church’s learning: How can we help one another to see more clearly – with the eyes of faith – to what is really real? 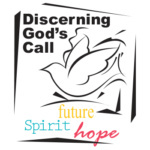 How can we make the Christian practice of discerning God’s calling central to the on-going life of this church? 5. The church – leaders and members together – are given talents and gifts by the Spirit. Out of abundance and generosity God is giving gifts for creating, restoring and renewing life – abundant life – and for the work of ministry. Implications for the church’s learning: How, before the watching world, might our church become a community of overwhelming gratitude and extraordinary generosity? How will we support one another to discover, own, develop and use the gifts God has given us? 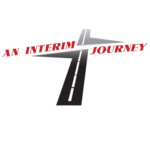 How might we become equipped with skills, support, and resources for leading the journey? a. What strikes you about these foundations for renewal? b. 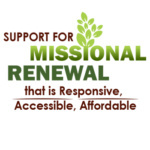 What are some common assumptions about renewal that you have heard? c. How do these key assumptions help frame what will be involved in the church’s missional transformation? d. What are your hopes about transforming the church’s mission? What are your concerns?